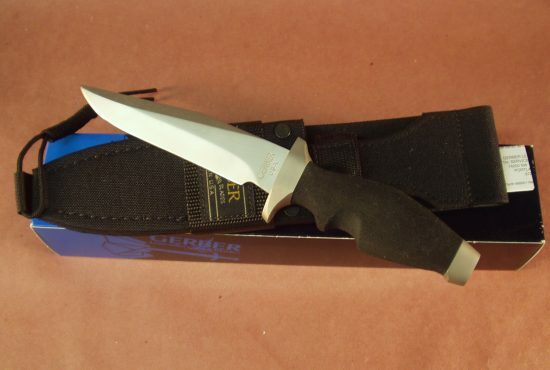 Just received in our shop is a Gerber #950 Pro Guide II Fixed (Clip Point) Blade Knife. 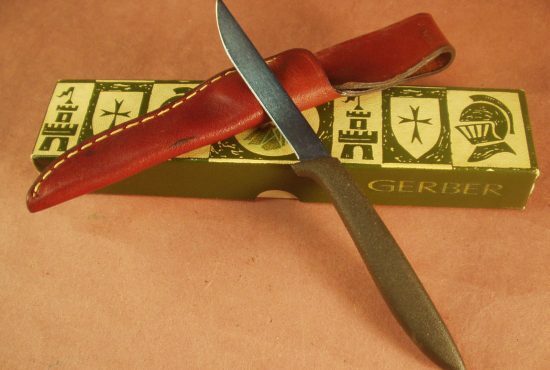 These knives were made by Gerber from 1990 – 1998) , and have since been discontinued. 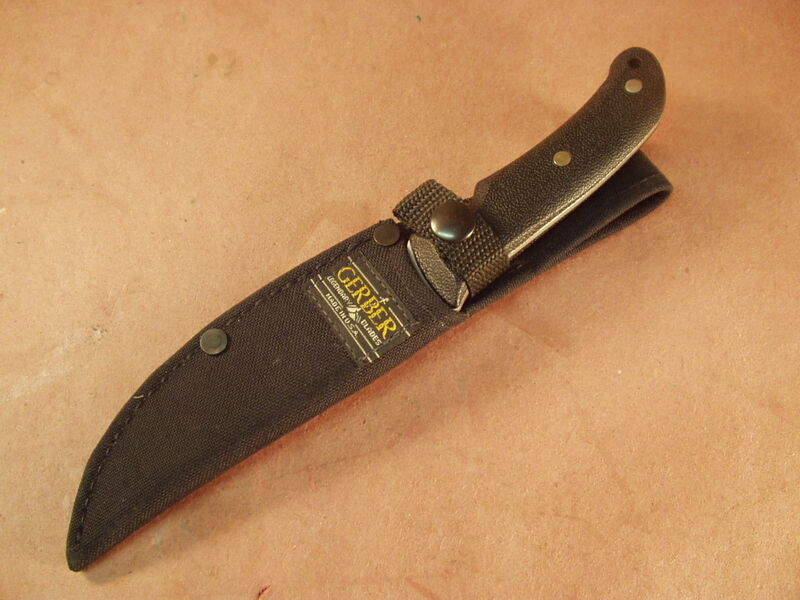 Knife is properly marked and made in the USA. 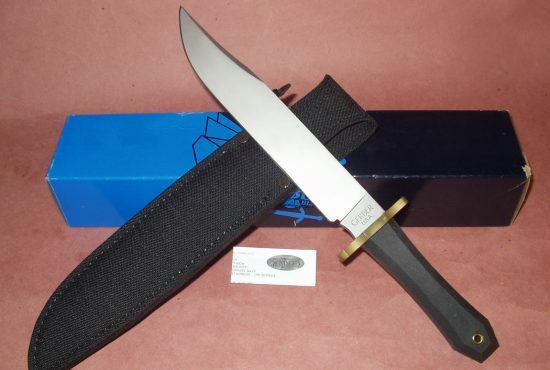 Knife is pre-owned but has never been used, the blade edge is factory and the finish and handles show no signs of use, scratches, finish loss or rust. 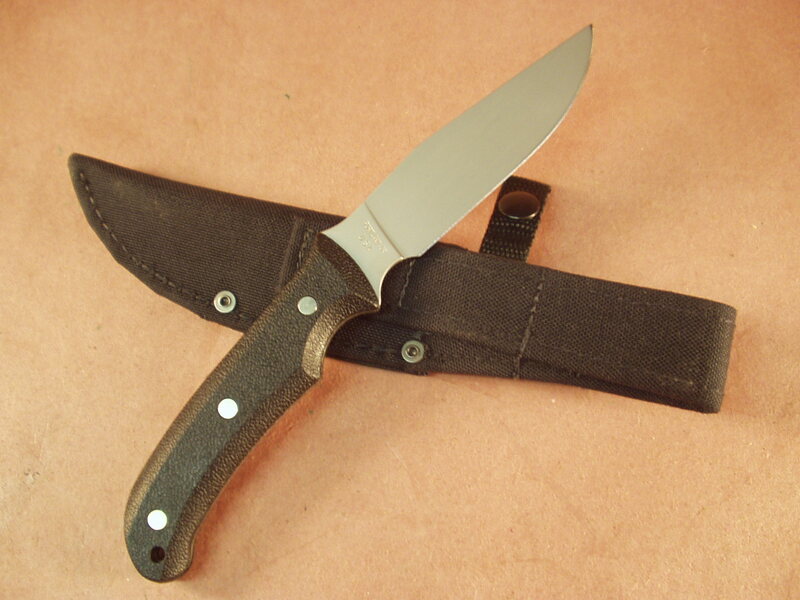 Sheath is also in perfect unused condition, rivets show no signs of finish loss or rust either. . A great way to determine any use or carry at all is to look at the keeper snap finish, if it is full and totally in tact this, is a good indicator the knife was not use, carried and probably was kept in storage. 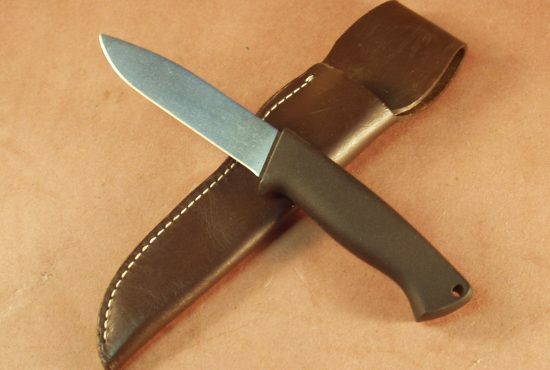 The paint on these snaps has a tendency to wear easily if not well cared for. 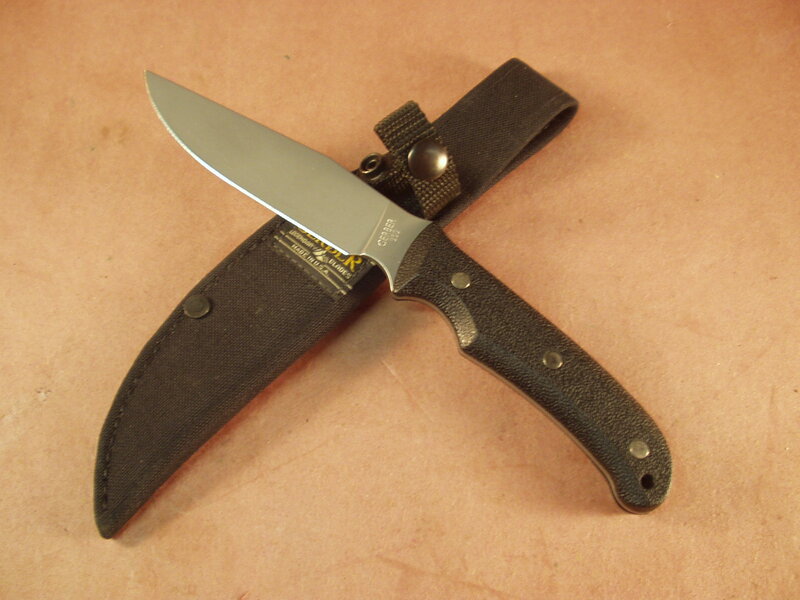 A great hunting/field knife that has come and gone.